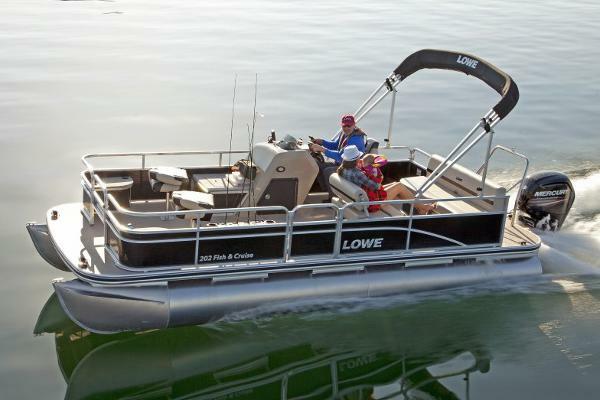 2016 Lowe Ultra 202 Fish & Cruise For fantastic versatility and value, look no further than the Ultra Fish & Cruise 202. This family-friendly pontoon is designed for an array of on-water activities, with ample onboard space and an array of great standard and optional features. Pack your day with fishing, playing, entertaining and enjoying nature; there’s no easier or more accessible way than with the Ultra Fish & Cruise 202. Please note: This boat model may or may not be in-stock. A Nationally Advertised Price, if listed, may change without notice or include accessories not fully described herein. Please contact your local, authorized dealer for exact details on model availability and package pricing. 2016 Lowe Ultra 202 Fish & Cruise For fantastic versatility and value, look no further than the Ultra Fish & Cruise 202. 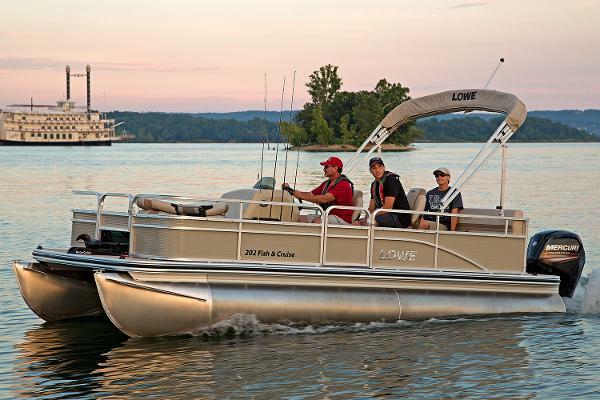 This family-friendly pontoon is designed for an array of on-water activities, with ample onboard space and an array of great standard and optional features. Pack your day with fishing, playing, entertaining and enjoying nature; theres no easier or more accessible way than with the Ultra Fish & Cruise 202. Please note: This boat model may or may not be in-stock. A Nationally Advertised Price, if listed, may change without notice or include accessories not fully described herein. Please contact your local, authorized dealer for exact details on model availability and package pricing.